Elegant Audi A8 super-sedan in velvet purple!  Home  Automotive  Elegant Audi A8 super-sedan in velvet purple! 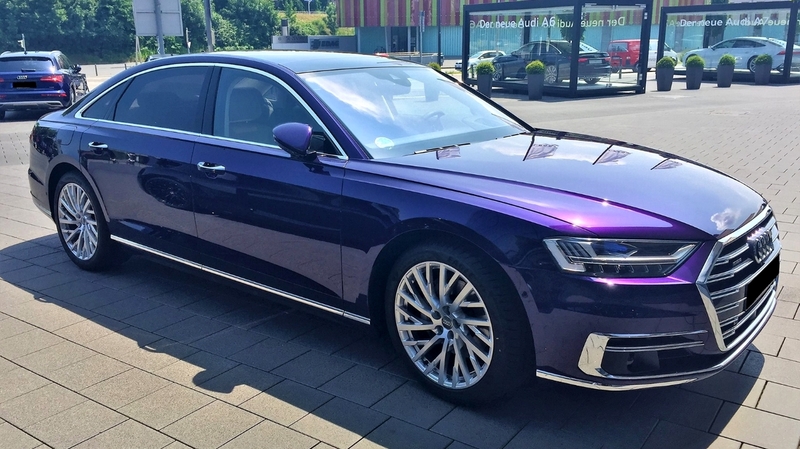 What you’re seeing here is a Velvet Purple exterior, courtesy of Audi Exclusive. The color is by no means new to Audi, but this is one of the few times we’ve seen it on the all-new A8. In fact, the only other time we saw this car wearing this particular shade of purple was during one of its first video reviews, last Autumn.